In building a binocular vision practice, ask patients about the quality of their vision, not just how clearly they see. Patients often require more than just help in seeing “20/20.” Asking three questions equips you to help them improve the quality of their vision. Ours is a specialty practice. We specialize in medical services and have no optical dispensary. We focus on the need to communicate that the level of eyecare we provide here is exceptional–and that we improve visual experience. We rely on these three questions, and the related follow-up questions outlined below, that set us apart in the patient’s mind, and enable us to determine the best level of care we can provide to each patient. 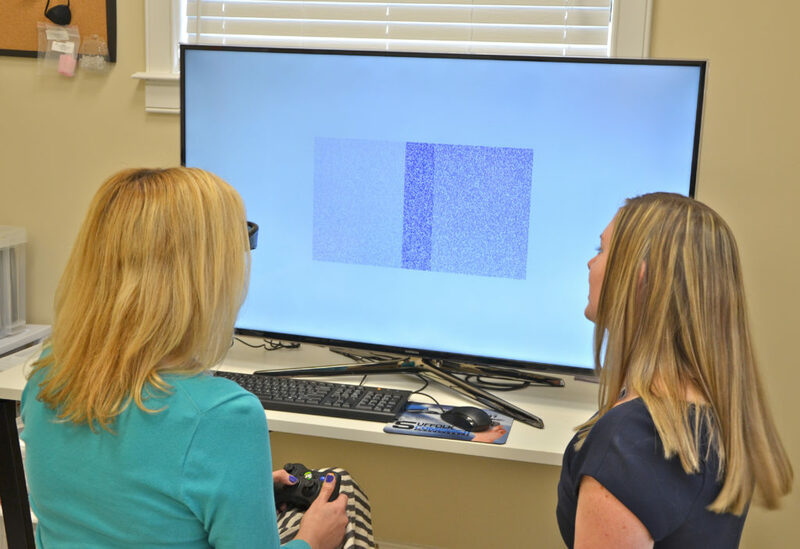 Dr. Fulmer (right) works with a patient to improve visual functioning. Dr. Fulmer and her partner, Dr. D’Angelo, say a key to building their practice has been asking the right questions in the exam room. How long can you sustain near work for? This question gives insight into how the patient is functioning visually. Due to the societal demands of extensive near/computer work, the majority of our patients are seated in front of a computer all day. 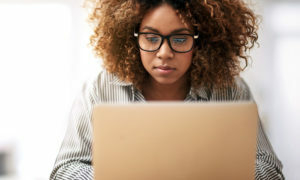 Many people suffer from computer vision syndrome and don’t even realize it! How Do We Say It to a Patient? The Most Common Patient Responses? 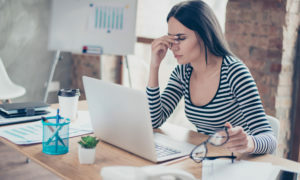 To help the patient understand their issues, we discuss how our visual system isn’t designed for the amount of near work that is often required in our habitual work, school and societal environments. (Think: hunter and gathers vs. computer work). From there we talk about the visual components that need to be in place to complete extended near work comfortably, and discuss the tests that will be performed to tease out if there are any issues. Dr. D’Angelo examines practice metrics. She and her partner, Dr. Fulmer, have strategically built their practice, slowly giving up their piecemeal work at other practices as their own grows. Do you ever experience intermittent blurred or double vision? This question is typically a follow-up question to the one above to help draw out why the patient may be having trouble maintaining near work. We find that an alarming number of people see intermittent double vision at either distance, or near, and think it is normal! You would be surprised how many people will have a positive response to this question, but won’t have mentioned symptoms of diplopia until you ask. How Do I Say It to a Patient? “Do you ever see intermittent double or blurred vision while you are driving or reading, especially if you are tired or have trouble switching from distant to near objects? We explain to the patient the different components that make up the visual system: the vergence and accommodative systems. We explain how each works, why there may be an issue, and assure the patient that we will check on each of them to find the cause of their symptoms. Do you feel like you are losing your place while you read? 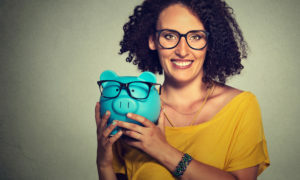 This question is the money question: How are you able to read? This is such an important aspect of success as both a student and an adult because if you are an inefficient reader, you often fall behind. We ask this question of every patient, no matter the response to the first two questions. We want to know exactly how comfortable it is for our patients to read. The reading demands of today are astronomical and can cause some issues (near-point stress is a total different topic that we won’t get into now! ), we believe that everyone should be able to read clearly and comfortably for an extended period of time. We explain to our patients the components of their oculomotor system and the eye movements necessary for reading: fixations, saccades and pursuits. We discuss how each component plays a crucial role in the fluidity of reading, and how we are going to assess each part to see if there is an issue. Depending on the answer to the first two questions, we may also discuss with the patient how their accommodative, vergence and oculomotor systems all work together and where there might be a breakdown in the system. What actions should be taken by the practice to ensure the patient gets needed services or products? If we receive a positive response from our patient to any of the above questions we talk about what it means to see more than just 20/20. The primary aim of our office is to have our patients functioning at their highest visual capability, including clear and comfortable vision. Getting patients to understand that they should not be having a problem sustaining near work, seeing intermittent blurred or double vision or having to re-read is the key to helping them achieve their best vision. 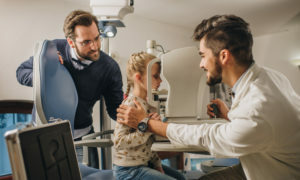 Once the doctors have a good understanding of how the patient is functioning, we can perform our regular comprehensive exam and then some basic accommodative, vergence and oculomotor testing to determine which patients may need to return to the office for an additional binocular vision work-up. 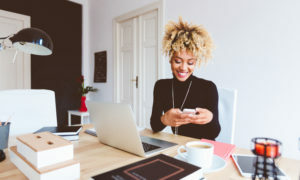 From that work-up, you may simply need to prescribe a pair of prism glasses, recommend a visual-perceptual work-up or you may want to recommend in-office vision therapy. Taking the time to ask your patients these simple questions will show them that you care, and want the best for them, and that will always grow your practice. 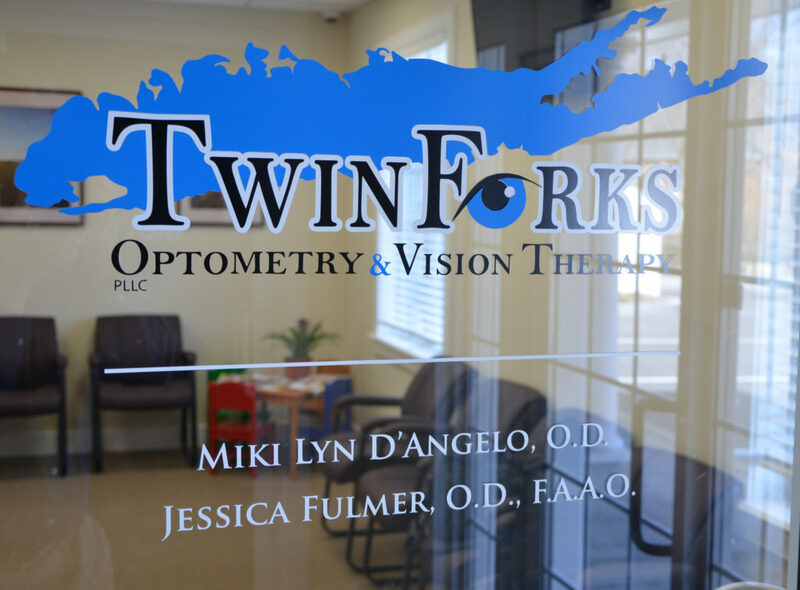 Miki Lyn D’Angelo, OD, and Jessica Fulmer, OD, FAAO, are co-owners of Twin Forks Optometry and Vision Therapy in Riverhead, NY. 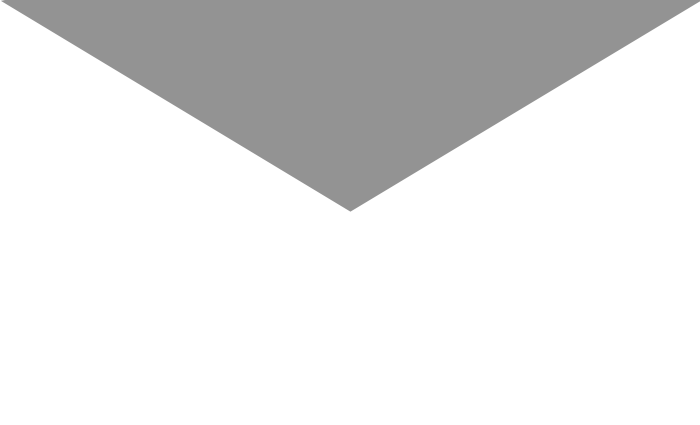 To contact Dr. D’Angelo: DrDangelo@twinforksoptometry.com.